October 18, 2015, Queens, NY Halfway there. That’s where the Mets are after they defeated the Chicago Cubs in Game 2 by a score of 4-1. 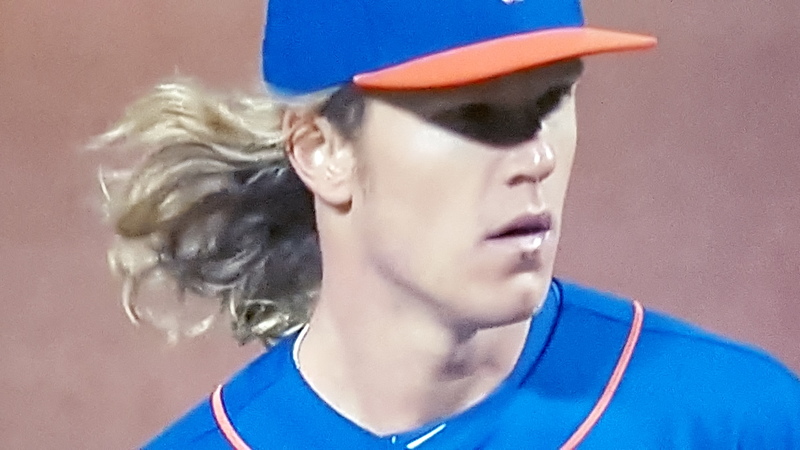 In 5 2/3 innings, Noah Syndergaard pitched more like Synder-God giving up one run on three hits, a walk, and nine strikeouts. 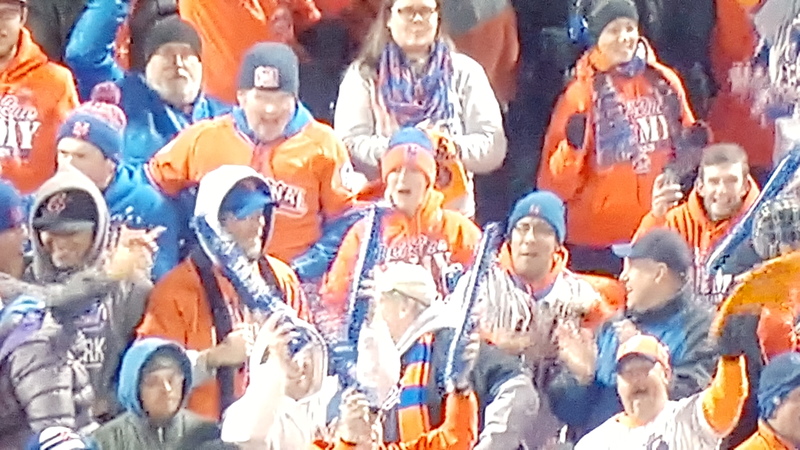 The Mets held serve, and now go to the hostile confines of Wrigley Field in front of a rabid fan base, for games three, four, and possibly five. Being up 2-0, the worst-case scenario is the Mets get swept in Chicago and have to return to Citi Field down three games to two. Curtis Granderson scored on a double by David Wright in the first inning. 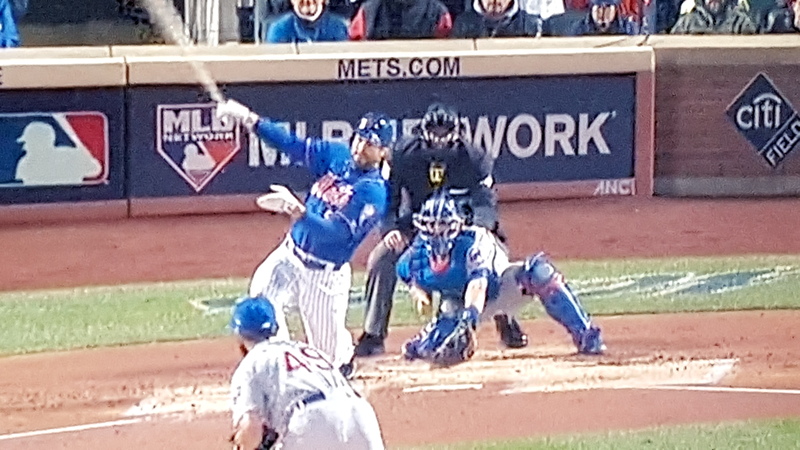 Then it was time for the DM, Daniel Murphy. Murphy hit a screamer that just went foul by a few feet. On the next pitch, he straightened it out just enough for it to stay fair and give the Mets a 3-1 lead against Cubs ace Jake Arrieta. 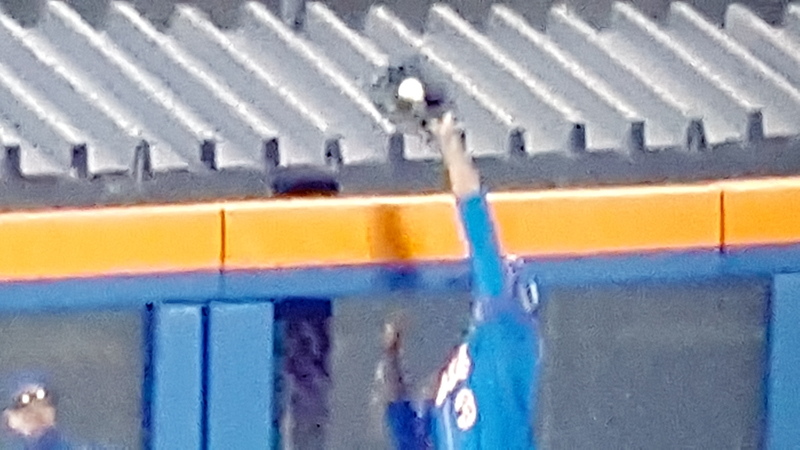 Granderson made an acrobatic catch against the fence in the second inning. The Grandy Man has proven to be one of the best free agent signings for the Mets. He has transitioned to leadoff hitter superbly and is an excellent fielder. In the third inning, Granderson walked, stole second and third, and scored on an infield hit by Yoenis Cespedes to increase the lead to 4-1. Chris Bryant doubled off Syndergaard in the sixth inning giving the Cubs their lone run for the game. Terry Collins had to be pleased with Syndergaard’s outing but didn’t want to press his luck; he went to the “Firm” of Niese, Reed, Clippard & Familia who yielded only two hits in 3 1/3 innings of relief. During spring training, no one thought the Mets could be in the World Series. The Washington Nationals were clear favorites to win the division which meant the Mets would be contending for a wildcard spot in a league that had more strong contenders than there were playoff spots. The Mets will send Jacob deGrom against the Cubs Kyle Hendricks for Game Three that will air Tuesday evening on TBS. Next Story → deGrom is deMan!